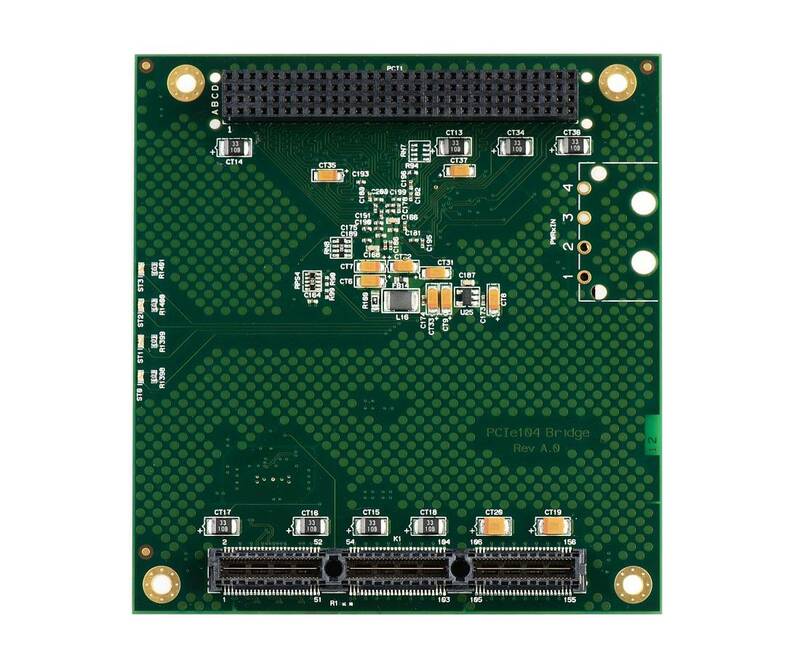 The Bridge-PCIe104 is a PCIe/104 to PCI-104 bridge module that allows the use of PCI-104 peripheral boards on PCIe/104 systems. 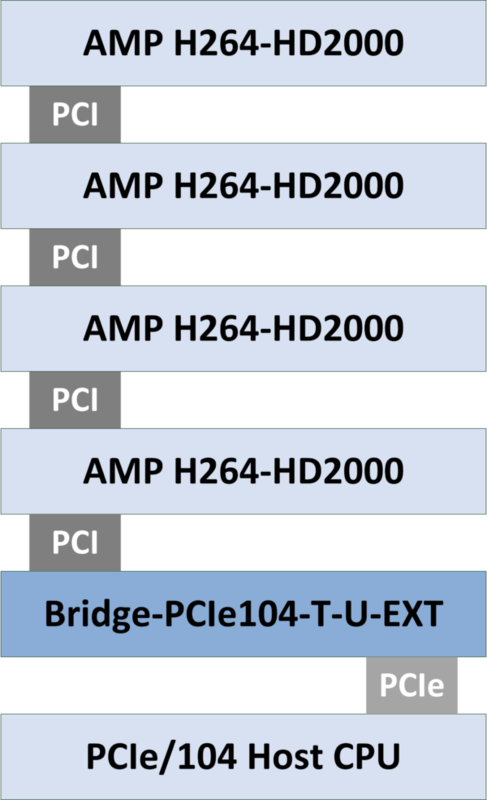 The Bridge-PCIe104 allows AMP’s range of proven PCI-104 video boards to be employed on the latest PCIe/104 CPU host boards. The Bridge-PCIe104 uses a single PCIe x1 Lane and supports up to 4 peripheral PCI-104 cards. The provided PCI interface is a full PCI implementation allowing the peripheral PCI-104 modules to used as full PCI masters for high performance video capture and compression and other applications. The Bridge-PCIe104 is available in both top and bottom stacking models for flexible system construction. 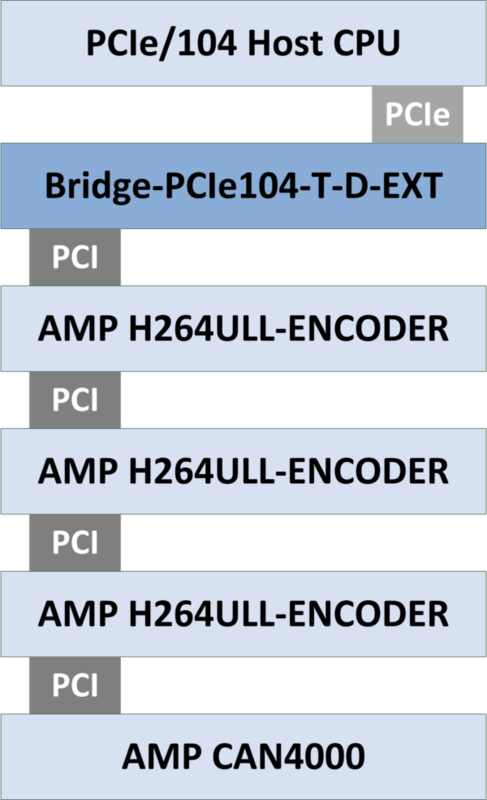 The Bridge-PCIe104 is natively supported in Windows and Linux and does not require any additional drivers.